The soaring won-dollar exchange rate has prompted Korean singers to look overseas for more lucrative deals. Rain, TVXQ, Jewelry, Shin Seung-hoon and other famed Korean pop singers have upped the number of their engagements overseas. The weakening Korean won against the U.S. dollar and Japanese yen means more earnings for K-pop singers on foreign stages. Their representatives are reportedly very busy planning concerts, fan meetings, and other events in foreign locations. For instance, Rain held fan meetings in Tokyo and Osaka on January 12th and 14th. He drew more than 3,000 fans at each of four meetings, once again demonstrating the power of his stardom. He’s now planning an Asian tour. TVXQ already released the group’s 26th single in Japan and is getting ready for third Asian tour concerts. Korea’s ballad king Shin Seung-hoon will also release his second regular album in Japan on April 25th. He’ll also tour four cities in Japan from late April to early May. TVXQ will appear on 「ザテレビジョンHOMME」 Magazine! You can’t see much from this *cough*tiny*cough* picture, but it’s a really dreamy and cool picture. 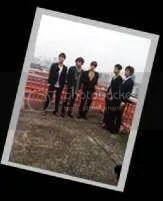 It was really cold during the photo shoot but five of them kept telling themselves “It’s cold…No, no…It’s not!” and were then overheard laughing. They finished the photo shoot really well. Please look forward to all kinds of poses from TVXQ which were done while they were half-freezing! America’s singer Natalie a.k.a Pumashock did a cover of SNSD’s Gee using R&B style making it a hot topic online with over million views on her youtube. For Natalie, TVXQ’s MIROTIC is the hardest to sing along. On the 4th, Natalie participated a press conference held by Seoul’s Broadcasting System (SBS). That had caused a rise of popularity for her, acknowledging how it feels to be a Korean artist. Natalie said, “MIROTIC’s lyrics are long, the tempo is too fast so it’s hard to take in”. She also mentioned that she decided to sing ‘Gee’ it’s because the song gave her an urge to dance, so that caught her attention/interest. After listening to ‘Energy’, she expressed that she is happy a musician like BoA is crossing over to America’s music industry. Natalie appraised Star King’s MC Kang Ho Dong as “Best Dresser”, Shinwa is her favorite group, even indicated her love for Kpop music. Natalie will participate on Star King on 7th this month. This again will make her a hot topic. Korean artists are promoting large amount of activities overseas. BoA, TVXQ, SE7EN, WG, JYP, SS501 etc will be advancing their activities mainly in Japan and US on the first half of the year. Last year, after releasing single “Eat You Up” and started official activities, her first American album consist of 12 songs will be release on March 17. “I Did It For Love” was produced Sean Garret, who also produced for Britney Spears, Usher etc. This album will not only be in the US market but also other Asian countries. Although BoA is a top artist in Asia but she’s a newbie in America. SM representative said she’ll start off one step at a time with the basics such as talk shows and interviews. TVXQ experienced all kind of difficulties and went through a lot of suffering on Japan’s stages. After ‘MIROTIC’ promotions, they quickly took off to Japan to promote this month’s new single and soon after that there’s the 4th Japanese album coming up. First half of the year, TVXQ will stay in Japan doing promotions. 2nd half of the year they’ll come back to Korea with activities. not because of your appearances. only because of your extraordinary strengths. You guys are my role model,my purpose. A group of God’s children. Caused everyone to forget that he is only a child. Loving such U-Know YunHo still need a reason? Self learned talented pianist,but says, “I’m not a good composer”. He is Micky YooChun whom we love so much. but still never said “give up” these two words. Humbly says, “I’m not important”. He is ChoiKang ChangMin whom many are envious of. Loving such TVXQ still need a reason? doesn’t have a diva’s attitude. loving and supporting them really need a reason? Making it hard for people not to love them. Cassiopeia understands, that’s why they’ve build one large red ocean. Heaven’s Cassiopeia will keep shining. Therefore, please continue to hwaiting! AZA FIGHTING! Korea and Japan’s shining stars in the singing industry become one through music. Group TVXQ appeared in a music show hosted by Japan’s SMAP, “SMAPXSMAP”, which is an immensely popular show aired on FUJI TV. The two groups also performed on a common stage. 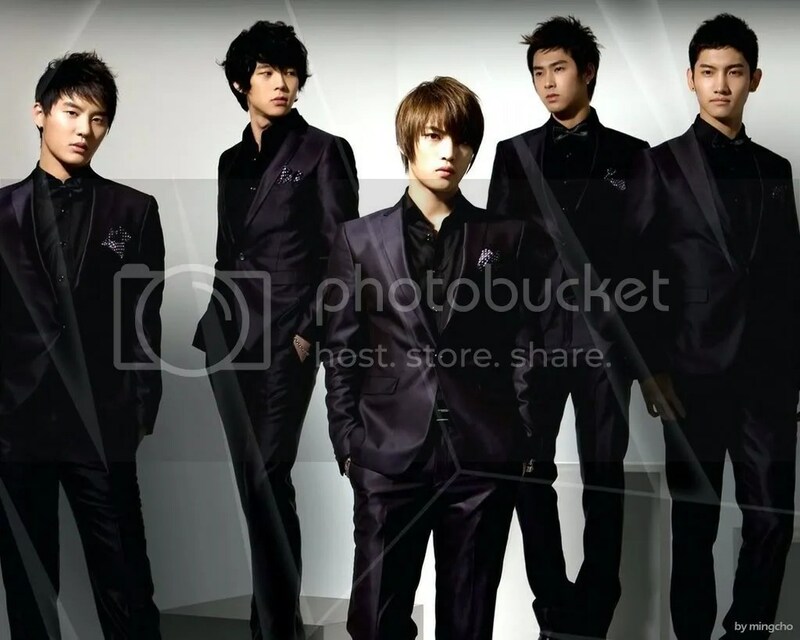 The episode, which was aired on the 2nd of March, featured the two groups performing TVXQ’s “Purple Line” and “Why Did I Fall For You?”; this also served to build up friendships between the two groups. Not only were the SMAP members familiar with the choreography of “Purple Line”, they were also relatively familiar with and able to perform both of TVXQ’s songs. This made fans of the two groups elated. Other than the interactive stage between members of the two groups, the show also aired humourous scenes of TVXQ and SMAP joking around with each other and bringing laughter to the audience. SMAP members asked TVXQ, “Did you guys learn Japanese through Japanese dramas?”, to which Hero Jaejoong replied, “Engine, Good Luck, Long Vacation etc, these shows were quite interesting.” All the shows Hero Jaejoong mentioned casted Takuya Kimura. After hearing this, Masahiro Nakai commented that “All of us have acted in dramas before.” Mood maker Xiah Junsu said, “Utaban was very interesting as well.”, causing SMAP members to laugh loudly. Utaban is not a Japanese drama, but a music programme hosted by Masahiro Nakai. Laughter also ensued when Xiah Junsu performed his gags. Other than that, U-Know Yunho also performed his version of counting in 3s. The other members also showcased their various talents, causing the audience to laugh continously.